Dan Weinfurter is a serial entrepreneur and the author of Second Stage Entrepreneurship. He is the founder of GrowthPlay, a company that helps drive profitable revenue growth by improving overall sales effectiveness. Dan dives into the hiring process and believes it’s better to hire no one than hire the wrong one. After all, hiring the right person is often a multi-million dollar decision. So, how can an entrepreneur hire the right person? Listen in to today’s interview for more information. Hi and welcome to The Successful Pitch Podcast. Today’s guest is Dan Weinfurter, the author of Second Stage Entrepreneurship. He’s also the founder and CEO of GrowthPlay, which is a sales effectiveness business consulting firm. 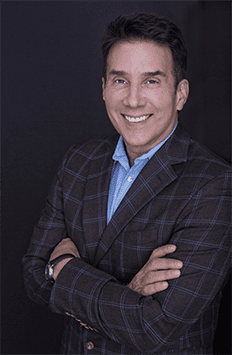 Dan consults with many organizations, developing and implementing sales and leadership effectiveness, strategies that drive profitable growth. In his 25 years of being a serial entrepreneur, he’s built three, not just one, but three successful companies including Parson Group, his first start-up that landed number one on the coveted Inc 500. In addition to consulting, speaking and interim management, he guest lectures at leading business schools and was a mentor for the Clinton Foundation’s Institute for Entrepreneurial Excellence. Dan, welcome to the show. John, pleasure to be here. What a great background that you have and what great experience you have, especially for a podcast like this, one called The Successful Pitch. You obviously know how to sell and pitch. Can you take us back to your early career of selling and your first start up, and how did you know that that’s what you wanted to do? It’s probably a two-part question so I’ll try to answer succinctly and then we can go from there. Right out of college, I was hired by General Electric and I went through their sales training program. That was back in the day where a company would hire a 22 year old and put him through a year of training with the hope that the 23 year old would be able to sell sophisticated services to executives in big companies. Those days are somewhat gone where companies spend that amount of time and effort bringing young people up to speed. For me, it was really fortunate and has got me started in a career. Really, even the businesses I’ve started, the common denominator has been the buildup and deployment of an effective sales organization. My GE career lasted eight years. Subsequent to GE I’ve now done, this is my fourth actually that I’m working are now, all in business services, trying to help companies do one thing or another. Let’s talk about the Parson Group. Did you have to raise outside funding for that, and how did you come up with the idea? I resigned, wrote a business plan and raised essentially $4 million on a PowerPoint. I was hiring smart people in Chicago in July 1995. The idea for Parson Group actually came from a business that I was involved with previous to starting Parson Group. It was an information technology staffing business. We watched ourselves grow and we completely and continuously outran our operational capability, which included finance and accounting. We turned to the outside staffing temporary service providers for help. As we watch what these firms did, we saw that they frankly were terrible and violated all of the things that we thought were responsible for our group at the firm that I was at. The notion was hatched, “What if you took our business model and applied it to the finance and accounting vertical and you had capital and you built it correctly, what could you do?” After ARC, which was the firm I was at, went public, I resigned, wrote a business plan and raised essentially $4 million on a PowerPoint. We used that to hire five people in Chicago in July 1995. Six years later we had a $90 million business, all organic growth. Amazing. I bet those investors were happy. We needed to go back to them a couple other times. Which is fine. That’s expected. You hit the milestones. You need more money to grow, yeah. We did. They were very happy. It worked well for all parties involved. Great. Let’s talk about this great book of yours. I’ve had the pleasure of reading it cover to cover. It’s just fantastic. How did you come up with the title, Second Stage Entrepreneurship? The original title was How Hard Could It Be, which was not meant to be serious, but that was part of the problem. The editor that I was working with didn’t think that that title was right and thought it might offend people. As we were working with the publisher, which is Palgrave Macmillan, we kicked around a bunch of different ideas. Frankly, the editor at Macmillan gets credit for this. She thought that there was this void between how do you start a business and then how do you get it to the next level. Plenty of books on startups, plenty of books on sales. But this whole, what we call second stage growth, she thought that there was a void in the market. We reshaped it a bit through the editorial process and made it far more broad-based. Instead of just talking about sales, we talked about all of the things that tend to be important in growing a business from an early stage to what we call the second stage, which is a much bigger business, obviously. The process of hiring smart people, while it is the most important part of the growth journey for any company, ironically, my view is that it’s the least disciplined. One of the key things that’s over and over important is hiring smart people, which you talked about in this great book. I know that investors look to that when you’re pitching for money, who’s on your team. Even as you continue to be successful and need higher and higher rounds, one investor told me that the quality of your team has to equally go up. The CEO can’t be the CFO anymore. Can you speak to some of the things you talked about, about the process of hiring smart people? In specific, I love what you wrote when you said intellectual curiosity. Tell me what that means. So, two parts. Ironically, I think that the process of hiring smart people, while it is the most important part of the growth journey for any company, ironically, my view is that it’s the least disciplined. You think about what’s involved in hiring smart people. In most cases, it’s a million dollar and up decision that somebody is making. Seldom is the rigor applied for that level of decision making. A salesperson, for example. Seems fairly routine. It’s at least a million dollar decision. I tell people, I’ve made it wrong enough times to know that my numbers are right. In a manager, so if you’re starting a new geography, that’s at least a $15 million decision. I could say the same thing there. I’ve made a mistake enough to know that that number is correct. First, I try ground people in the fact that these numbers are real. If you get the right person, great things happen. If you get the wrong person, bad things happen. The trick is that every role for every company at every stage of growth is different. You can’t just take what you’ve done in the past and apply it to the business that you’re a part of today. It might or might not work. It’s a flip of the coin. I teach a class at Kellogg and I was guest lecturing in this class called Digital Innovation. One of the things that the professor teaching that class pointed out, which is true, is that in the technology space, and it’s probably no different anywhere else, the founder hires his or her number two 70% of the time without defining the role and without talking to more than one person. Really? I can understand that to finding the role because you’re going to do anything. But not talking to more than one person fascinates me. That would be a lack of intellectual curiosity, would it not? It would. There we go. We’ve got it defined, and you’ve brought it full circle. I love it. It’s funny, you talk to people, and this is one of my favorite tricks, is after an interview is almost done, you ask a person, “What are you reading today?” It’s amazing to me how often you get an answer, “I don’t have time to read. Too busy. I don’t really read. I look at some magazines and newspapers but I don’t read any books.” It’s hard for me to imagine how anybody can get the information that they need to do their job correctly without reading. Furthermore, just if you’re curious about life, you ought to be picking up things, even if they’re not business related in reading. Pick up a novel, pick up a political, non-fiction book. Read something. Right. I couldn’t agree with you more. It’s like what you’re putting into your body for food, what are you putting into your brain through reading to keep yourself growing. One of the things you say in Second Stage Entrepreneurship is, “The cost of hiring the wrong person is higher than leaving the position unfilled.” We’re going to tweet that line out. Can you give us a story around that and around only hiring smart people? One of the things that I learned the hard way again is it’s better to have no one in the role than the wrong person. The theory there is if you have no one, you do something about it. If you just hope that it’s going to get better, guess what? It doesn’t. I encourage all people, if you have somebody who’s not correct in the role, move that person along and then go about finding the new person. You’re going to be far better served, even in the short run. Dan, how long do you give somebody in a new position to prove themselves? Three months? Six months? A year? I’d give you the classic consulting answer, it depends. Let’s say if it’s a new salesperson. Let’s say I’m a founder of a startup. I’ve got somebody who obviously needs some training and come up to speed. How much time do I give them to prove themselves, before I know it’s a wrong choice? If you’re paying attention, it shouldn’t take very long. Again, you have to be paying attention. It’s not so much that you manage it by numbers per se, because specific numbers can be wildly good or wildly bad based on just luck and timing. But if you’re paying attention and you’re working with that person, you can see the quality of interaction they’re having with others. You can see if they’re doing the right things that are likely to make it work over time. Be a little bit lax in terms of the specific empirical outputs, but be really rigorous about the quality of the interactions and the qualitative aspects that you know will dictate success for that role over time. That’s the critical thing. It could be a week, it could be a month, it could be six months. You just have to be paying attention. I love that, because so many people just look at the numbers. If you don’t meet your quota by this time, boom, you’re out. Like you said, there’s a lot of other circumstances. If the person’s got a good work ethic and is a good culture fit, and like you said, doing what it takes, the number of sales calls, phone calls, emails, whatever it is, to be successful, then focus on that. Now, let’s dive into this whole section you have in Second Stage Entrepreneurship about the power pitch. I love your whole philosophy that if you ask five sales people to describe what the company does, five other people who are in sales, and then five trusted customers to describe what the company does, sadly, you would probably get a lot of different answers. You will, and it’s so fundamental and so basic. You keep talking about the need to be targeted and consistent with your branding. Think about it. Everybody should be able to answer these questions with complete clarity. What do you do for your customers? What do you do that’s different? What do you do that’s better? And be able to demonstrate or prove it. You should be able to do that in very short periods of time. You might only have, literally, 20 seconds to answer the question on what do you do, you might have 15. They think it’s easy and so they just wing it. But to get that nailed down with the level of clarity and rigor that’s necessary, it actually involves a lot of practice and a fair amount of what I call preparation so that you have different versions of that for different audiences. If you’re talking to somebody at a cocktail party, it’s probably different than if you’re talking to a CEO or you have a prearranged meeting and you have that actually ready to go. Most people think they can just wing it and they are so afraid of sounding robotic or they don’t want to memorize anything. I constantly teach people, Tiger Woods doesn’t wing it. Meryl Streep doesn’t wing it. Everybody who is a professional prepares. They prepare. The only way that I’ve ever gotten people to take it serious is to film them and then actually show them how bad they are at it. Yes, you really hear the stumbling and how hard it is to follow what they’re trying to say and how few people really understood what they said and all that stuff. I go back to my GE days. We did this every day for my entire first year of training. You do these role plays and if you did it badly, they play it back three or four times until everybody in the room was laughing. It was all in good fun. We were with all these people for a year. You actually get it nailed down. This stuff all is hard and it takes practice. That’s where all this started from and it’s how it’s become part of what I use to be a critical path for business success. Since you’re an expert in sales and managing sales teams and hiring smart people and the right team, one of the things I’d love to have you share with us is how do you get sales people who are so competitive, not only outside of the company but within the company, to start sharing best practices with each other so that the whole company can benefit? Sales people, they’re competitive with each other but they also like to be part of the gang. I think the sales manager who’s doing his or her job correctly is drawing from the entire group all of the things that can be done that tend to move the meter in work in that particular business. Then bringing the team together so that those best practices are shared amongst the group in a way that they’re digestible or consumable. Most people that I’ve worked with are more than willing to be part of that process. That’s great. Whether you’re pitching an investor for money or pitching for a new client, it’s all the same, where you have to be able to describe, as you said, what do you do that’s different and better and be able to prove it. The best way I know is through stories. You write about this is Second Stage Entrepreneurship a lot. Where you have a whole process of tell a story about a problem another client had, and be sure to name that client, and how they tried it without success, without your help. Then how you came up with the solution. Then most importantly, which I think most people forget in these kinds of stories, is what kind of ongoing success does the client have from working with you. Can you tell us how you developed such a smart strategic way to tell a story that helps drive sales? Actually, I read a book. This is called What’s Your Story. It’s written by a University of Chicago Business School professor by the name of Craig Wortmann, called What’s Your Story. Some of that goes back before that. My GE days, one of the things that we would do is we would build stories about where we had done this work for others in the startup world and it became a far bigger necessity for success. If you have a company that doesn’t have a name brand and you’re trying to sell to a Fortune 500 client, you have to build credibility and trust. You can do a little bit of that by how you behave. In their heart to hearts, they want to also know, who else do you this for and how do I know that I’m not making a career limiting decision by bringing you into my firm? The stories are a great way to build that credibility and trust, especially if you can make them personal. You name the person that you were working with and you talk about the impact that it had, not just on their business, but on them personally. Because in the end, almost everybody makes a business decision based on the impact to them personally, and then they back into the business rationale for that decision. It’s not always that way, but it almost always is that way. It’s very predictable human nature. I love that. Everyone thinks if we just do the job you’re asking us to do and there’s RFP, we’ll get the business. If you tell a story of somebody else hiring you over a competitor and that person looking so good to their boss that they got promoted, that’s an example of a personal impact. In fact, throw the RFP away. You’re not going to win it. Unless you helped to write it, it’s a waste of time and effort. Spinning your wheels. I’d love to have you speak to that, about not just your brand that you’re working for and how important it is to sell the brand of whatever company you’re working for. This whole concept of having a personal brand, I think is really essential as a salesperson. Don’t you? It’s not only essential as a salesperson but for any role in life. Think of the politicians that are on the news right now. They all have their personal brands, which in some cases is helping them and then some cases it’s not. The other part of this is it takes a lifetime to build a reputation and not very much time at all to wreck it. What Paul talks about, and I’ll actually see him on Friday, is you should live your life as though every day is part of the building of your own personal brand. Again, it’s not so much what you say. It’s people watch what you do. Just living a life where you’re true to your word and if you say you’re going to do something, you do it. If you’re building a business or you’re part of a business, make sure the business behaves in a very similar way. If you say you’re going to get back to somebody on Tuesday morning, get back to them on Tuesday morning. Not Tuesday afternoon. Dan, you’re singing my song. That lack of integrity drives me crazy. Sometimes, you can set the bar just by doing what you say you’re going to do. If you say you’re going to follow up, follow up. That’s automatically sets you on the top, I don’t know, 10%, sadly, of salespeople who don’t follow up, the 90% that don’t. It’s probably higher than that. One of the things you talk about is this written monthly review. A lot of people hate reviews, a lot of people love them if they get good ones. I like this whole concept of doing it monthly instead of quarterly or twice a year. Some of the questions that you think people should be is asking is, how do you feel about last month? I think that’s really fascinating, is to tap into people’s, do you feel proud, do you feel embarrassed, do you feel frustrated? Then, what didn’t happen that you want? This for me is the number one thing that made me successful is, what are your top ten accounts and your top ten opportunities? If you just focus on that, I think you will, the 80-20 rule kicks in, don’t you agree? The important part is that the people who are doing really well get really good reinforcement and get the help that they need to do even better. I would agree, because the ones that are on that top list are probably not going to get done. You think about any executive, it’s similar that they can only really act on the top five things on their list of objectives at any given point and time. If you’re trying to get to them with something that’s not on the list, good luck getting … They might listen but they’re not actually going to take action on it. Same is true with driving sales activity. When I was first told I had to this, this is one of the stories I tell on the book, I said, “You got to be kidding me. Monthly? Seriously?” I pushed back on it and I thought it was just going to be a time consuming bureaucratic process. But it’s just the opposite. The people have to come in with the knowledge of what they did in the prior months, what they’re going to do in the current months. Probably the important part is that the people who are doing really well get really good reinforcement and get the help that they need to do even better. Sometimes those conversations just don’t happen with the people that are doing well. The people that aren’t doing well is a paper trail that’s built up over time. “Let’s see talked about last month. We’re having the same conversation again. This doesn’t really feel very good to me. Deja vu all over again, as the saying goes. It doesn’t take very long before you realize that this is not going to work. At that point, then you don’t have to go through the charade of a performance plan. You can just move on the person because the trail is already built. The most important thing is it helps the good people do better because it reinforces the behaviors that they have put in place, that are responsible for their success. The review forces a conversation that, “Where do you need help?” One of the big jobs of a sales manager is to really help the team, help the individuals that are part of the team be successful. It’s not to manage and control. That’s what people think. That’s not it. It’s being helpful. One of the things you have on your GrowthPlay website is how to not only find great talent, but keep them. Can you speak to what your secret sauce is there? It’s probably not changed in 30 years. Really, there’s two things that I think are critically important. One’s the culture of the business. Does the culture and the mission resonate with the people that are part of the team? If they’re engaged in a business that they don’t really like, good luck keeping that person over the long haul. That’s one. Then related to that is who they work for. Probably the most important person is their direct supervisor. If it’s corrupt or bad at the top, that will engender cynicism and it will end up rotting from the top eventually. Ppeople who won’t put up with that over the long haul. The truth is when people quit, they quit their boss or their bosses first and foremost, and everything else follows. It’s not for the extra X percent of money, is it? It’s about not feeling appreciated a lot. Or you just work for a jerk. There was a study in HBR, I just read a few weeks ago, was done by some Gallup researchers. This is almost hard to believe. I think it ran last year. They pointed out that American businesses hire the wrong person in the first line managerial role 82% of the time. Wow. Do you think part of that is if you’re a great sales person, then you get promoted, and suddenly you’re sales manager and it’s a completely different skill set? Absolutely. In fact, the better the salesperson you are, the more likely it is that you’re not going to be a good sales manager. In fact, we have the science behind this, only 10% of successful sales people have the innate behavioral DNA to be successful sales leaders. What’s the solution? Should they go through some training if they want to do that? Or is it just not in their DNA? Doesn’t a sales manager need to have been a sales person to understand what’s required? As a salesperson, it’s all about yourself. As a sales leader, it’s all about the team. That is true. In fact, you have to have been a somewhat successful salesperson to be a successful sales leader. But you have to go find the people in your sales organization or who exist elsewhere who both could sell and can lead people. It’s a narrow pool of people you’re looking at, but you got to find them or it’s not going to work. Think about it. As a salesperson, it’s all about yourself. As a sales leader, it’s all about the team. As a sales leader, the job is to facilitate an outcome through collaboration. As a salesperson, you just take charge and get it done. Much like if you think about an athlete versus a coach. It’s the same analogy. If you’re really good, you don’t even realize what you’re doing. You just do it naturally. Can you train other people to do that? Maybe. Some can. Yes. Or, do you have the patience to train them? That’s the other thing you have to realize. Just because you’re on a certain level of expertise, the junior salespeople probably aren’t. They’re going to need some hand-holding and some patience. Dan, how can people follow you on social media? Obviously, GrowthPlay.com. Tell us the best way to keep track of what you’re doing and how to engage with you. I’m on Twitter at @danweinfurter. I’m on LinkedIn. I think it’s DanielWeinfurter. I have a personal website, DanWeinfurter.com. We obviously have a company website, GrowthPlay.com. All of those tend to work and work pretty well. Fantastic. Obviously, besides the Second Stage Entrepreneurship, which we’re going to put the link in the show notes for people to buy, you also mentioned that great book, What Is Your Story. We’ll put both of those in there. Dan, any last words or thoughts to leave with the listeners about how to pitch or how to sell? Probably the last thing, sales, in my view, is one of the last great frontiers that’s still not viewed as a discipline, like finance or marketing or engineering. Yet half the people that come out of college end up in a sales role and any white collared professional spends a significant portion of his or her time in their occupation of selling. I think it pays everybody dividends to actually do what you would do with any discipline, which is to study and get good at it, and not just think that you can wing it. There are definite activities and processes that are proven to work in sales, just as they work in other disciplines, and give sales its due and its day in court, because it’s deserving of it. Fantastic. Dan, thanks again for being on the show and for talking about hiring smart people. You’ve been a great guest, and everybody, go get this great book, Second Stage Entrepreneurship. John, thanks for having me on the show. I appreciate it. Did you enjoy the show? I’d love it if you subscribed today and left us a 5-star review!